Being a working man, I've always worn strong pants to work and play in. While hiking in Costa Rica, found the cotton bluejeans a no no, they do not dry in the humid weather. I had a pair of short nylon shorts and they worked well. We hiked the Grand Canyon with nylon pants, light weight but did not breath well, even with zip vents. I watched a young lady hiking out of the canyon in a light weight above knee skirt and thought, that a skirt and a pair of insulating tights would be the ticket. For men, about the closest a man can get is a kilt which tend to have a lot of material making them heavy. 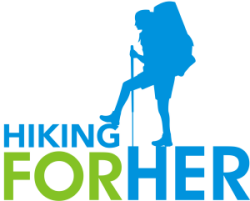 How do you, the hiking women of the world, feel about the idea of hiking men wearing skirts of one sort or another. I can imagine the advantage for women is definitely the rest stops. What do you say, trail sisters? Yes -or- No -or Maybe?